RAVENOL VSE 0W-20 is a PAO (Poly-alpha-olefin) based fully synthetic low friction engine oil with RAVENOL’s unique USVO® and CleanSynto® technologies. Due to the USVO® technology we achieve an extremely high viscosity stability. We avoid the disadvantages of normal polymeric viscosity improvers due to our specially engineered star shaped molecules. This improves engine protection, performance, engine cleanliness and oil drain intervals. The USVO® technology makes it possible that the product has no shear losses during the entire change interval and is extremely stable to oxidation. This unique technology helps oil to be lubricated faster, thereby minimizing friction while keeping the engine clean and efficient. RAVENOL VSE 0W-20 therefore minimizes friction, wear and fuel consumption with excellent cold start characteristics. And by significantly reducing fuel consumption, RAVENOL VSE 0W-20 helps to protect the environment by reducing emissions. It has a high viscosity index because of its formulation with special base oils and is easily identifiable by its green colour. Extended oil change intervals are possible according to the manufacturer’s instructions. 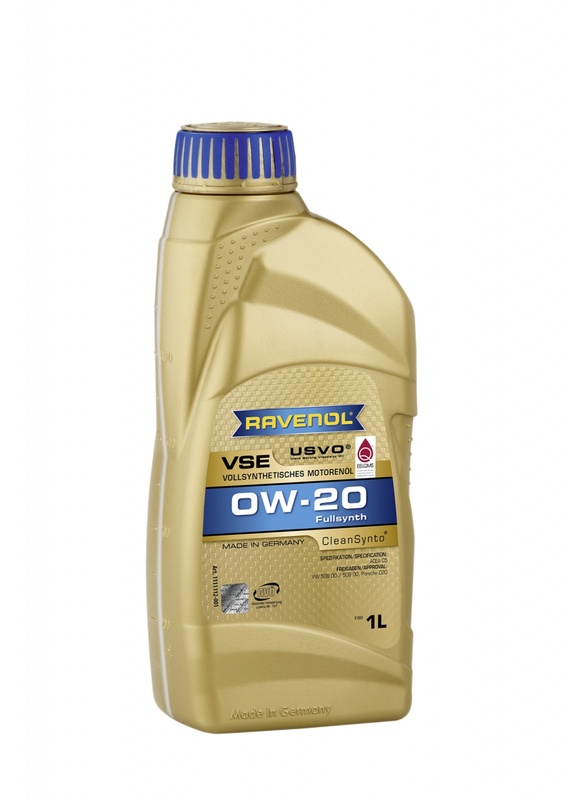 RAVENOL VSE 0W-20 is universal fuel-economy engine oil, suitable for all petrol and diesel engines, with and without turbo-charging and direct injection. It is especially suitable for the latest Volkswagen Specification engines: VW 508 00 and VW 509 00 and carries full Volkswagen approval. Provides protection against sludging, coking, varnish and corrosion even under unfavourable operating conditions. No oil-related deposits in combustion chambers in the piston ring zone and on valves. Lowered HTHS viscosity for maximum fuel economy. Contains chemical markers for identification and is green coloured.